One of the most used books in our temple room is the songbook. 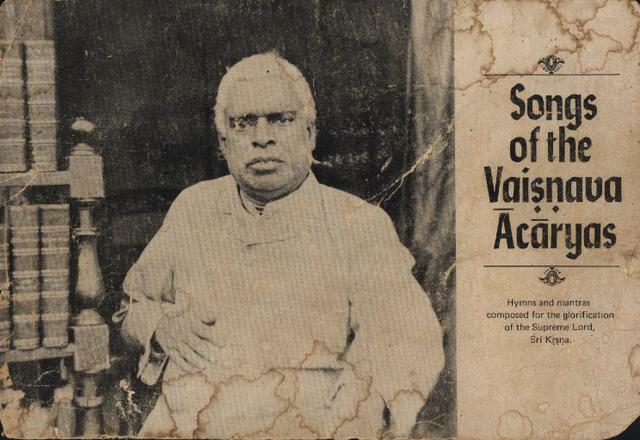 Everyday it seems, I am flipping through the “Songs of the Vaisnava Acaryas”, singing one of the many songs or reciting some of the numerous pranams (prayers) as part of my daily sadhana. The following post is the first 13 pages of songbook, which in my mind is a nice way to start the day and is a good prelude to other devotional service. Today marks the begining of the month of Damodara (Kartika). In honor and in celebration of the month of Damodara, we will be focusing our attention on the pastimes of Krishna in Vrndavan. 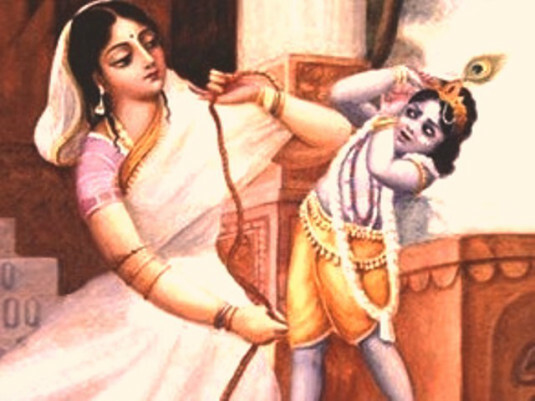 Especially Krishna’s childhood pastimes. 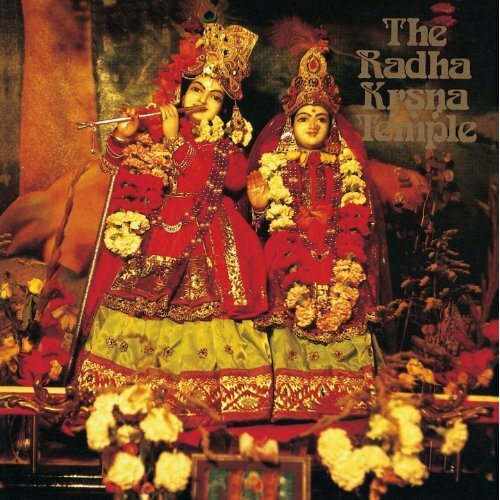 The following song is sung morning and evening and it is customary to offer a candle or gee lamp as well to a picture of Lord Krsna and Mother Yasoda. In honor of the appearance of Srimati Radharani, we will observe a 1/2 day fast, discussions on the glories of Radharani, followed by a feast. 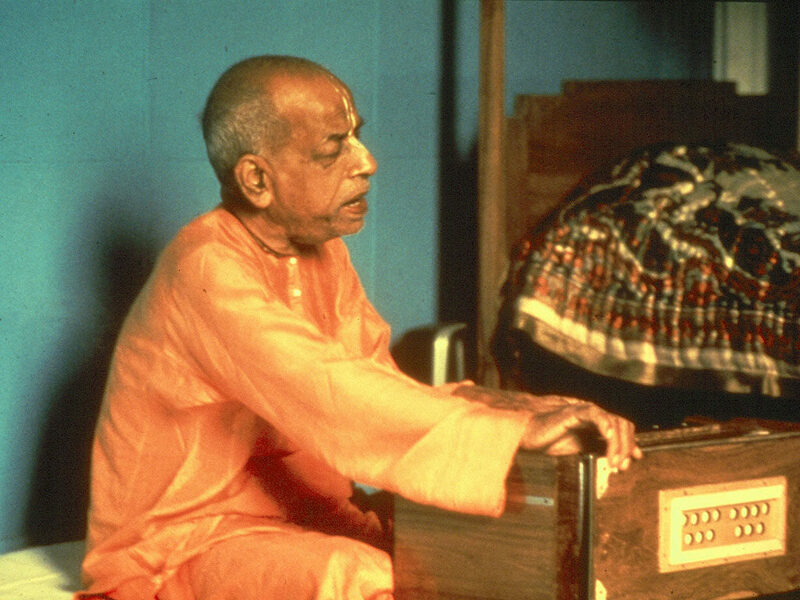 Today we are posting a very beautiful song composed by Srila Rupa Goswami entitled “Radhika Stava”, with both the English and Sanskrit translations. Glories, Glories to Sri Radharani, the beloved of Madhava and most worshipable of the the cowherd girls of Gokula Mandala! Decorated by the dress of Lord Damodara’s increasing ecstasy, You are the lady of the house of Lord Hari and the groves of Vrndavana. From the ocean of Vrsabhanu has arisen a new moon which is overwhelming the qualities of Lalita and Visakha. 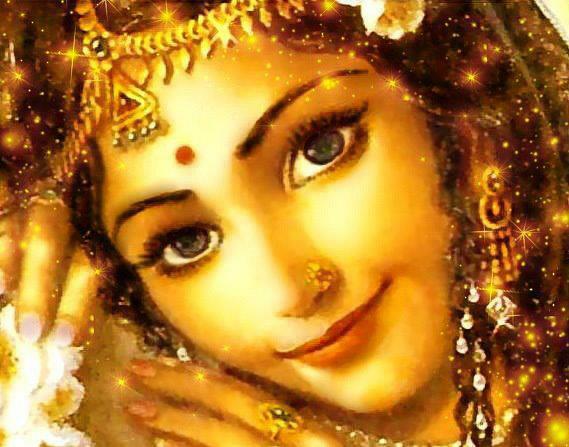 O Goddess, Your qualities are described by Sanaka and Sanatana Rsis and by Sanatana Goswami. Please bestow your mercy upon me. om-address; ajnana-of ignorance; timira-by the darkness; andhasya-of one who was blinded; jnana-anjana-by the ointment of spiritual knowledge; salakaya-by a medical instrument called a salaka, which is used to apply medical ointment to eyes afflicted with cataracts: caksuh-eyes; unmilitam-were opened; yena-by whom; tasmai-unto him; sri-gurave-unto my spiritual master; namah-obeisances. 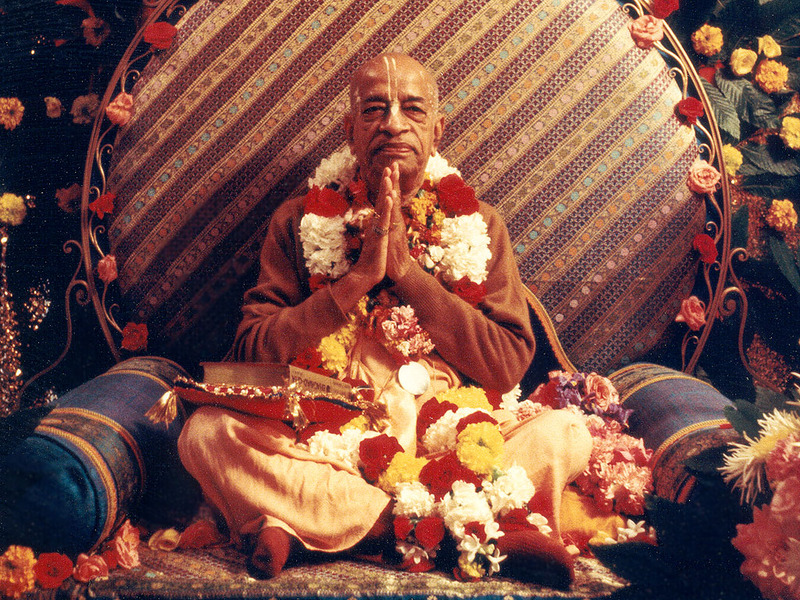 I offer my respectful obeisances unto my spiritual master, who has opened my eyes, which were blinded by the darkness of ignorance, with the torchlight of knowledge. 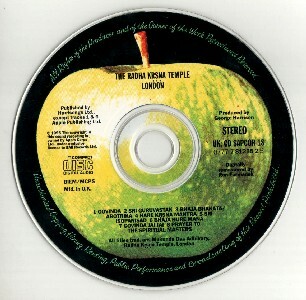 The verses 30 and 32 from the Brahma-samita are sung in the morning Srngara Arati in all ISKCON temples, while the first track of the 1970 album “Radha Krsna Temple” is played. 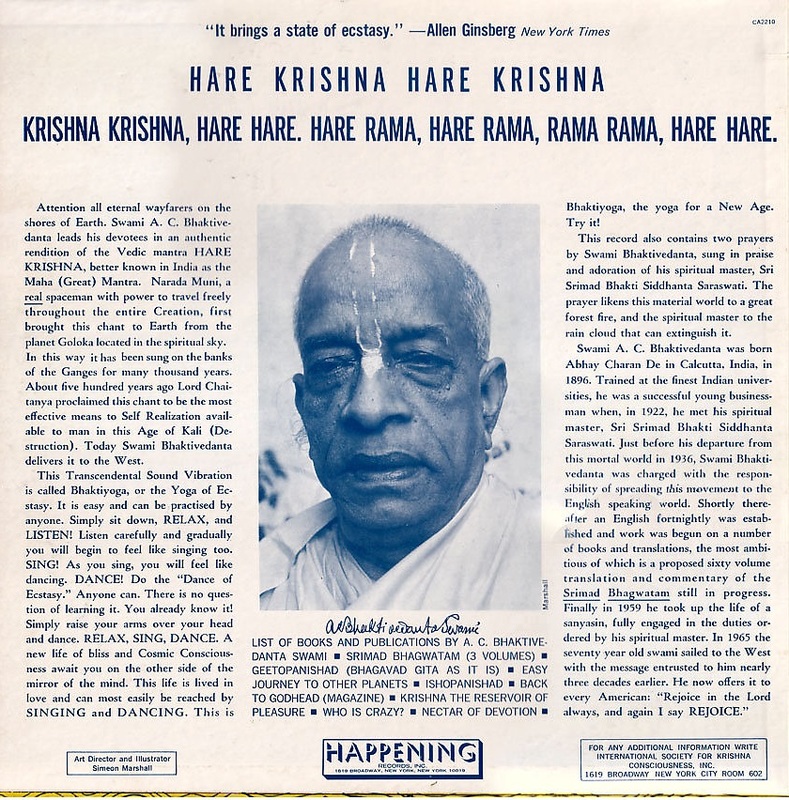 Srila Prabhupada enjoyed this track very much and was so moved that he said that this track will play at all ISKCON temples for the Srngara Arati. 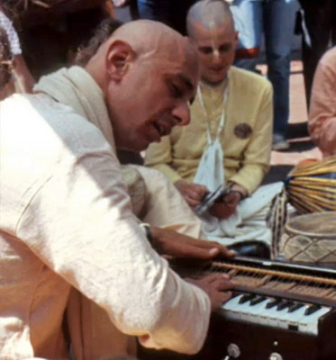 As a result, no one ever leads kirtan for this song, as it is played through that track. veṇum—the flute; kvaṇantam—playing; aravinda-dala—(like) lotus petals; āyata—blooming; akṣam—whose eyes; barha—a peacock’s feather; avataṁsam—whose ornament on the head; asita-ambuda—(tinged with the hue of) blue clouds; sundara—beautiful; aṅgam—whose figure; kandarpa—of Cupids; koṭi—millions; kamanīya—charming; viśeṣa—unique; śobham—whose loveliness; govindam—Govinda; ādi-puruṣam—the original person; tam—Him; aham—I; bhajāmi—worship. I worship Govinda, the primeval Lord, who is adept in playing on His flute, with blooming eyes like lotus petals with head decked with peacock’s feather, with the figure of beauty tinged with the hue of blue clouds, and His unique loveliness charming millions of Cupids. aṅgāni—the limbs; yasya—of whom; sakala-indriya—of all the organs; vṛtti-manti—possessing the functions; paśyanti—see; pānti—maintain; kalayanti—manifest; ciram—eternally,; jaganti—the universes; ānanda—bliss; cit—truth; maya—full of; sat—substantiality; ujjvala—full of dazzling splendor; vigrahasya—whose form; govindam—Govinda; ādi-puruṣam—the original person; tam—Him; aham—I; bhajāmi—worship. I worship Govinda, the primeval Lord, whose transcendental form is full of bliss, truth, substantiality and is thus full of the most dazzling splendor. Each of the limbs of that transcendental figure possesses in Himself, the full-fledged functions of all the organs, and eternally sees, maintains and manifests the infinite universes, both spiritual and mundane. Of all the books in my library, this is perhaps my single most favorite. I have always taken great pleasure in learning and singing these beautiful songs.